The Ireland Chapter of PMI 2019 National Conference hashtag#FromIdeaToReality hashtag#PMI2019IRL was a resounding success. Over 300 Project Management Professionals descended on Fota Island Resort in Cork which was the venue for this year’s conference. We had a pre-conference networking dinner the evening before the conference with Barry Murphy as the after-dinner speaker and this set us up very nicely for the following day as apart from the comedy and ‘interactive’ exercises the setting gave us ideal time to network with delegates in advance of the conference. Barry was also the MC for the day of the conference and his wit, professionalism, attention to the PM audience and interactive exercises keep us all engaged throughout the day – while he might be known as part of the ‘Apres Match’ gang his talents spread much further than this and I couldn’t recommend him enough to front any event. Anyway, back to the conference – on the day the guest speakers were truly excellent – we even had James R Snyder speaking to us (original co-founder of PMI - Project Management Institute;). An engaging slot was the workshop with Walter Bradley of Dale Carnegie Ireland with tips on how to agreeable disagree incorporating live ‘role plays’ to ‘test out’ the concepts. Yvonne O’Byrne of Irish Hockey brought us through a remarkable journey of the Irish Hockey team going into the world initial ranked 16th and reaching the final to win a silver medal. The keynote speaker was Dermot Bannon and his presentation on driving change through creativity and disruptive thinking gave great insight to the use of Agile as part of the creative process in Architecture – not to mention some insights to the projects that Dermot has and is involved with (no trade secrets mind you!). It would be remiss of me not to mention the other speakers - the panel discussion led by Eimear Bourke (née Dunne), with our headline sponsor EY. Further speakers included Aoibheann O'Brien of FoodCloud; Daniel Curran of AID:Tech and Christine Barrett of Microsoft . All in all, it was truly a fabulous conference and I was delighted to be part of it. For those of you that missed it – here are a few photos – they do say a picture paints a thousand words – but in this case it will only give you a glimpse of what you missed out on. Finally, a big shout out to all the sponsors EY, Microsoft, University of Limerick, Grant Thornton, Cork Institute of Technology, Alpha Wealth, Auxilion, Cora, Musgrave, Aspira and Progressive you helped make a really great event. Ireland’s largest annual conference for project managers is coming to Cork on 28 February, and places are filling up quickly. This year’s theme is ‘From Idea to Reality’, and attendees are set to hear from leading experts in the industry along with well-known Irish and international figures who are making waves in their respective fields. With tickets available for both members and non-members, we have outlined five reasons why you should consider attending this year’s conference. The PMI’s Job Growth and Talent Gap in Project Management 2017 - 2027 report highlights the demand for individuals with project management skills in the next decade. With an expected 87.7 million project management professionals needed by 2027 in industries such as oil, business services, manufacturing and information services, it is within your organisation’s best interests to get a head start on keeping up with the latest trends. We have sourced industry leaders who have successfully utilised project management skills to turn their ideas into reality. Featuring architect, Dermot Bannon, FoodCloud co-founder, Aoibheann O’ Brien and international hockey star and World Cup silver medal winner, Yvonne O’ Byrne, among others. You will have plenty of opportunity to exercise your project management knowledge at Managing Director of Dale Carnegie Ireland, Walter Bradley’s workshop on How to Agreeably Disagree and have the chance to pick the brain of PMI founder, Jim Snyder, at his Q&A session. We are proud to be sponsored by industry leading organisations. 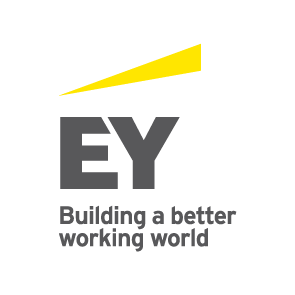 Headline sponsors are EY and Microsoft, with current sponsors Grant Thornton, Cora Systems, Aspira, Cork Institute of Technology, Alpha Wealth, Progressive Financial Services, and University of Limerick ensuring that you are in great company at all times. For the first time our history, the conference will be held outside of Dublin. We are excited to expand the conference Leeside this year, sharing the ideas of some of the leading names in business. 9 January 2019: Ireland’s largest annual conference for project managers is to be held in Cork for the first time in February. Over 300 delegates from across the country will attend the Ireland Chapter of Project Management Institute’s (PMI) national conference at Fota Island Resort, Cork on 28 February, where TV architect Dermot Bannon will deliver a keynote address. 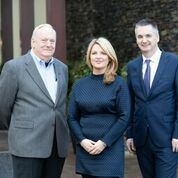 It is the first time that this prestigious event, with headline sponsors EY and Microsoft, will be held outside Dublin, generating over half a million euro for the local Cork economy. Early bird tickets for the conference, to be attended by some of the country’s eminent project leaders, are priced at €145 (Ireland Chapter PMI members) and €195 (non-members) at projectireland.ie. Announced today, keynote speaker Dermot Bannon will discuss how to successfully communicate disruptive ideas to project stakeholders. Further guest speakers include co-founder of FoodCloud, Aoibheann O'Brien, who set up the Dublin-based social enterprise, connecting food businesses with surplus food to nearby charities through technology. Yvonne O'Byrne, Ireland international hockey star, will speak on securing a World Cup silver medal, and Danny Curran, director of growth at Aid:Tech, will discuss how the Dublin-headquartered start-up developed blockchain technology for the distribution of international aid in refugee camps. Managing Director of Dale Carnegie Ireland, Walter Bradley, will give a workshop on ‘How to Agreeably Disagree’. There will also be a talk and Q&A with Jim Snyder, who in 1969 was one of the original five founders of the global PMI. Further speakers will be announced in the coming weeks. Mr Lucey added: “The Ireland Chapter of PMI is the largest professional organisation for project managers in Ireland with over 1,400 members. We strive to provide access to valuable knowledge, networks and resources that will be integral to project success. Headline sponsors for the Ireland Chapter of PMI’s national conference are EY and Microsoft, with current sponsors Grant Thornton, Cora Systems, Aspira, Cork Institute of Technology, and Alpha Wealth. There are currently over 50,000 employed in project management across Ireland, in sectors such as IT, public sector, construction, pharmaceuticals, professional services, financial services and manufacturing. 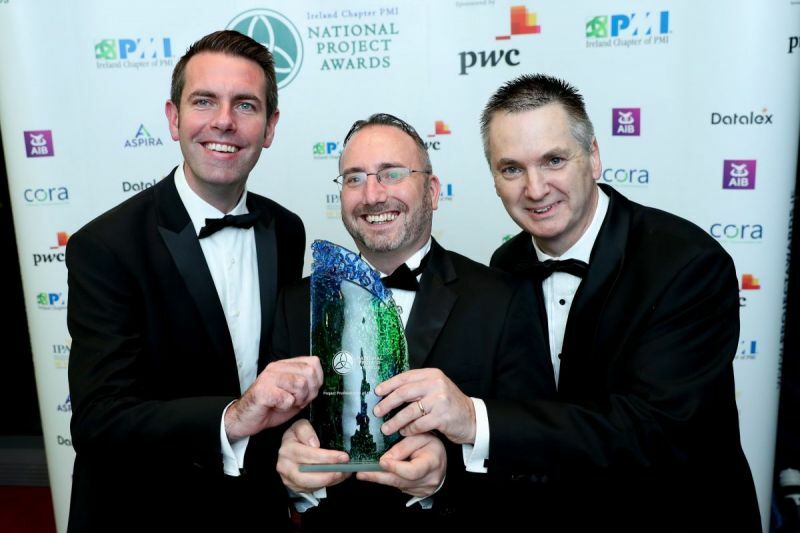 30 November 2018: The Ireland Chapter of Project Management Institute (PMI) has announced the winners of the 2018 National Project Awards, sponsored by PwC. Declan Rundle, Head of Enterprise Change in AIB, won Project Professional of the Year at a gala dinner last night hosted by principal sponsor PwC. He was acknowledged for his role in reinvigorating the bank’s Change Governance and Project Management, which contributed to AIB’s Initial Public Offering (IPO), Europe’s largest in 2017. 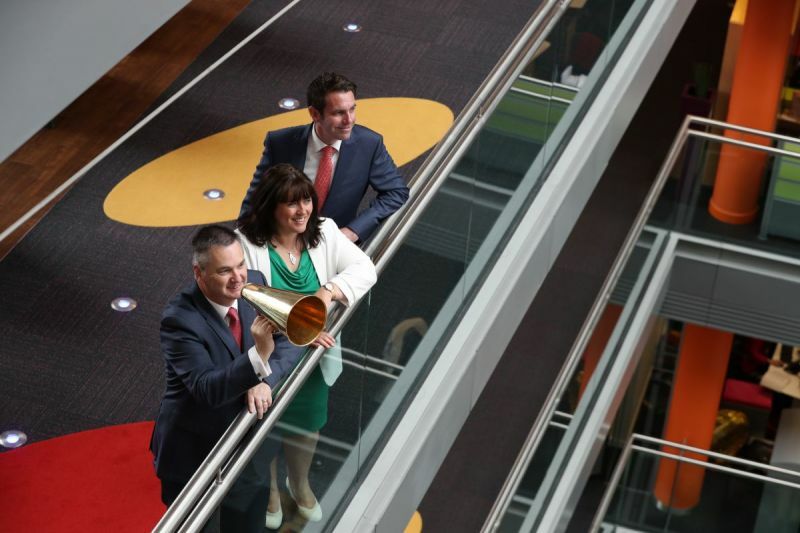 Project Management Office of the Year was awarded to ESB IT Services while Revenue Commissioners won Public Sector Project of the Year for its Customer Engagement Strategy. Private Sector Project of the Year went to AIB for its GDPR Programme. Cork Airport was recognised for its Charity of the Year programme, winning the Social Good – Corporate category. The winner of the Social Good – Community category was the Tour de Munster Charity Cycle. Ed Naughton, Director General of the Institute of Project Management and former Vice President of the IPMA (International Project Management Association), won Distinguished Contribution to Project Management for his successful career, working to promote excellence in project management and education. Speaking about the winners, President, Ireland Chapter of PMI, Pat Lucey said: “The National Project Awards celebrate the very best of project management, at a time when demand for project managers has never been higher, due to a turbulent global economy exacerbated in Ireland by Brexit. The National Project Awards recognise and honour individuals, project teams and organisations that have excelled within the project management discipline. The black-tie event took place at Spencer Dock, Dublin 1 and was compered by Newstalk Business Editor Vincent Wall. The National Project Awards 2018 is proudly supported by principal sponsor PwC, along with AIB, Aspira, CORA Systems, Datalex, Institute of Public Administration (IPA) and the Ireland Chapter of PMI. 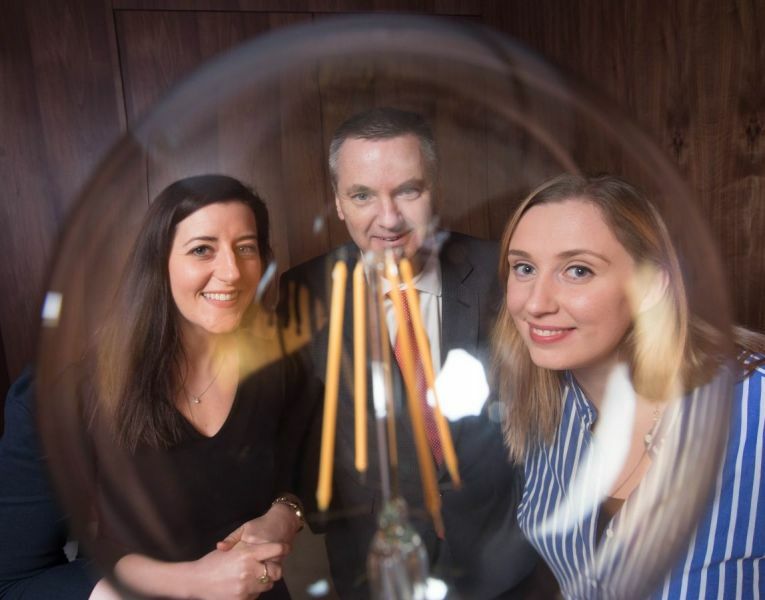 1 November 2018: The Ireland Chapter of Project Management Institute (PMI) has found Irish companies are increasingly harnessing new technologies to deliver large-scale projects, as it announces the National Project Awards 2018 shortlist. Winners of the six categories will be revealed at a gala dinner in the Dublin offices of principal sponsor PwC on 29 November. The National Project Awards recognise and honour individuals, project teams and organisations that have excelled within the project management discipline. Submissions this year were up 38% compared to 2017. Commenting on the calibre of projects submitted, Pat Lucey, President of the Ireland Chapter of PMI, stated: “We were hugely impressed with how project teams nationwide have embraced new tools available to them. These ranged from digitising previously paper-based processes to creating new client portals, as well as adapting to how the Internet of Things will change customer behaviour. Féilim Harvey, Partner in PwC heading up their Portfolio and Programme Management Practice in Ireland, added: “While the projects themselves were varied, a clear theme of excellence in project delivery was evident in all submissions. The project team and leads all clearly shared the same commitment to project management best practice and demonstrated the significant value of using these approaches in achieving their respective project outcomes. The National Project Awards also recognise the Distinguished Contribution to Project Management, sponsored by CORA Systems, which will be announced on the night. The independent judging panel for the awards comprises of nine leading experts drawn from public and private sectors. The independent verifier for the judging process is Matheson, one of Ireland’s leading law firms. The Royal College of Surgeons in Ireland (RCSI) has been awarded a prestigious Global PMI Award for Project Excellence for their National Emergency Programme. The RCSI team was put forward for the global award after winning at the Ireland Chapter of PMI National Project Awards last year in the Private Sector Project of the Year category. The RCSI project team developed an innovative multi-faceted system to manage the National Training Programme for emergency medicine trainings, from the point of application entry through to clinical rotation and assessment. In Ireland, it launched an online portal in 2017, allowing trainers to visually track physicians’ progress across 36 key medical competencies, and offer targeted guidance if necessary. User-testing and real-time simulations helped the project team achieve trainer buy-in. The team closed the project on time and on budget and within months, 100% of the trainers were using the new system. Watch the team discuss the award-wining project here. This year’s National Project Awards finalists will be announced on 30 October 2018. The awards, sponsored by PwC, recognise and honour individuals, project teams and organisations that have excelled within the project management discipline. They take place at the offices of PwC, Spencer Dock, Dublin 1 on 29 November.